Daily Debate: How Should Link Obtain The Master Sword In A Future Game? 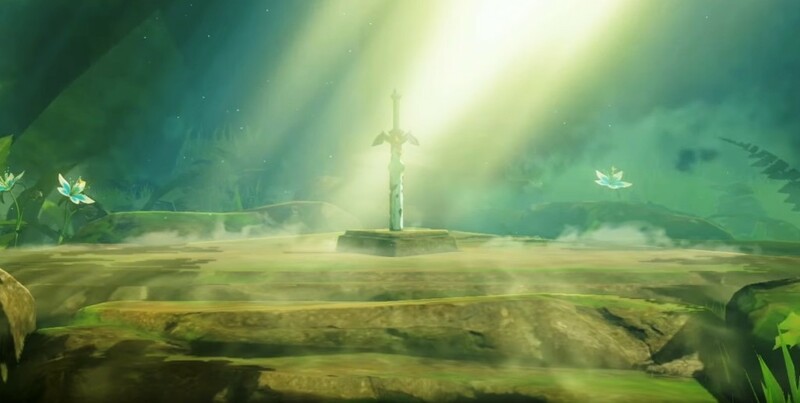 Ever since The Legend of Zelda: A Link to the Past, the Master Sword has been a frequently seen and important relic for the franchise. The reasoning for getting the weapon has changed from game to game, too: for some entries, it was specifically to defeat the evil force that threatened Hyrule; for Twilight Princess, it was to remove the curse that Link was trapped under; for Breath of the Wild, it was pretty much just there to exist as a strong weapon. The way that Link acquired the iconic blade has varied drastically throughout the history of the series. In A Link to the Past and A Link between Worlds, Link had to earn three pendants of virtue to claim it. Ocarina of Time did almost the exact same sort of thing; however, it used spiritual stones instead of pendants. In Twilight Princess, Link only had to find the sword to claim it. Skyward Sword had my personal favorite method of earning the Blade of Evil’s Bane, where Link had to actually forge the sword himself. Those are just a few of the ways that the Master Sword has been obtained over the years. Going into the future, it’ll be interesting to see how the Master Sword might be obtained. Breath of the Wild had dragons flying around in certain areas; perhaps Link would have to somehow interact with them or something similar in a future game to earn it? Or maybe Link would have to defeat a series of beings that were specifically there for guarding the legendary item. So, what do you think? Do you have any ideas on how Link could get the Master Sword in a future Zelda game? Leave your thoughts and opinions in the comments below!